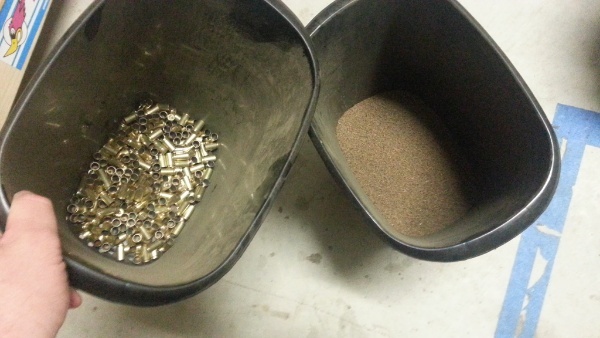 After getting my reloading press all put together and ready to rock, I found myself with a bunch of clean brass in the tumbler with no way to separate it from the crushed walnut media. 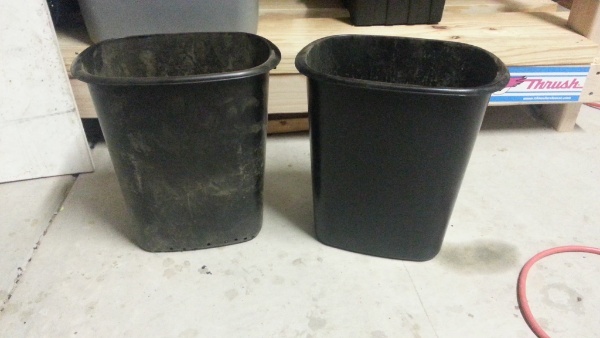 I looked around the garage, and found a stack of 3 little trash cans that appeared in my garage about the time of our wedding a few months back. I figured since they nest together so nice it would be pretty easy to turn them into a quick and easy (and free) media separator. 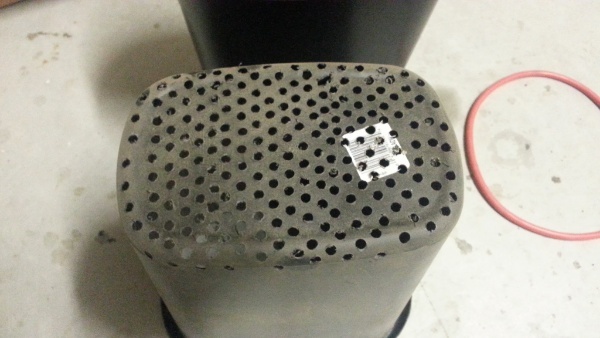 I grabbed one of the trash cans and a ruler and began marking spots for holes on the bottom of it. After a few lines I decided to stop marking them, and just drill them freehand as close as I could. 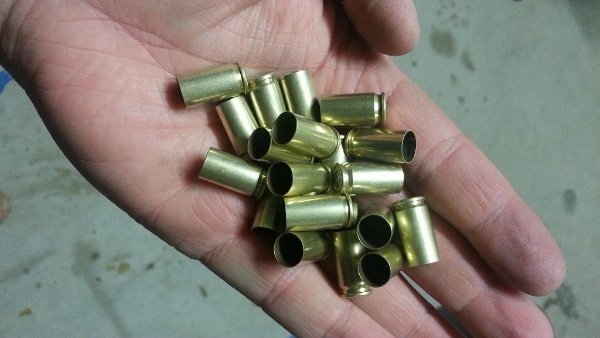 This allows me to nest it inside the other trash can, pour in the contents of the tumbler, give it a few shakes, and I have nicely separated brass and media. Then the media goes back into the tumbler for the next batch, and my brass is ready for the next step. I wouldn’t use use Brasso. It has been implied for years that the ammonia in the Brasso will weaken the brass. I have heard of others using a cap or two of Nu Finish or specific case polishing products from Dillon, Lyman, etc. I’ve heard that, but with as quick as it evaporates, I’m not too concerned about tumbling in it for 30 minutes then letting it air out. When I run out I’ll switch to something else. Looks like a great idea! Looks cleaner than the onion bag over the tray method I use. Oh, it has to be. I get just a little bit of spillage from shaking, but not enough that I’ve bothered sweeping it up yet. Man, that’s a good technique! Holes at the bottom of a trash can. Who would’ve thought it! Thanks! I’ve always used a plastic colander. Thanks for sharing a nice technique. I will apply this technique. BTW Thanks for the technique. That is an idea that I have to steal. Looks easy enough to make. Thanks! That is a great idea! I may have to use this. It’s just awesome. I’ll try this at my home.